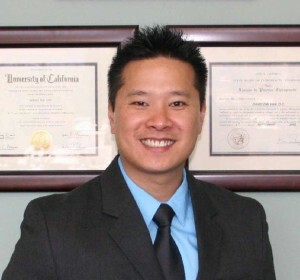 "Woodland Hills Chiropractor David Van, DC is highly rated in the area. Providing Chiropractic Care, Physiotherapy and Massage Therapy to thousands of patients." We are more than just “Back Doctors”. Chiropractors are able to treat a variety of physical conditions and injuries that relate to muscle pain, joint pain,and nerve pain. More and more people are turning to Chiropractors for their physical injuries. Don’t just think of us when your back hurts; think of us when anything hurts. Sometimes resting an injury is not enough. to help you get out of pain and stay out of pain. Don’t let an injury become a reoccurring injury, or limit you from doing what you love to do. Please do check out our blog for more information. Dr David Van has a wealth of information for you. Massage therapy helps to break up scar tissue and promote healthy circulation along with relieving physical and mental stress. Our Therapists are well trained in sports and therapeutic techniques designed to help patients regain normal function of an injured area. Woodland Hills Chiropractor Dr. David Van, D.C. has been in practice for over 12 years in the Woodland Hills area. We offer services such as Massage Therapy, Physiotherapy, and Rehabilitation plans designed to help patients get better, stay healthy, and live an active life. Please print and complete the appropriate form(s) and bring them with you to your appointment. We accept most major health insurance. Woodland Hills Chiropractor - Sigma Wellness © .